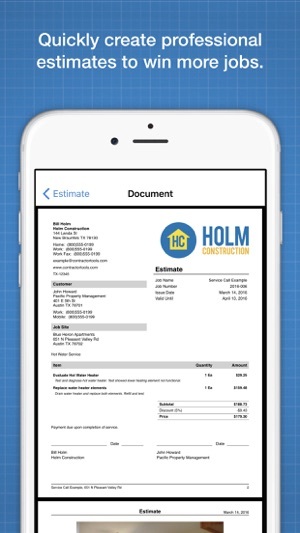 ContractorTools helps construction contractors quickly create estimates, invoices, and payments on an iPhone or iPad and sync them with QuickBooks Online. You can also sync between multiple people within your company using the iPhone, iPad, or Mac versions of the app. We know how difficult it is to manage a contracting business, and our goal is to make your life easier. • ContractorTools takes care of the paperwork so you can focus on your work. 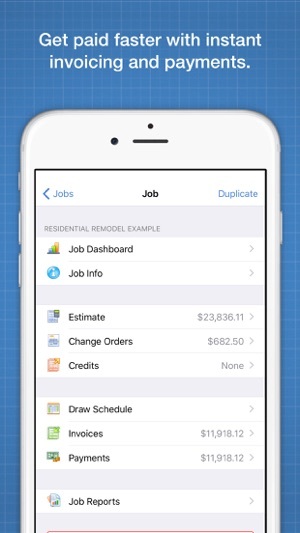 • Create an estimate at the job site and have your customer sign it on your iPhone or iPad. • Email a PDF estimate to the customer directly from your iPhone or iPad. • Win more jobs by creating professional estimates in minutes instead of hours. • Create an invoice and collect a payment at the tap of a button. 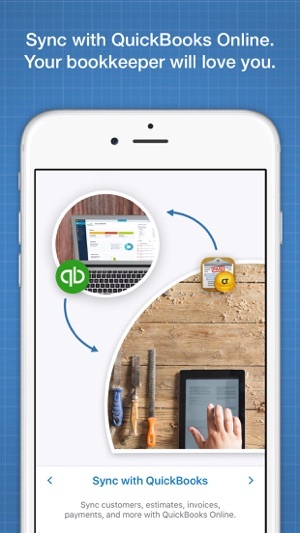 • Sync your estimates, invoices, and payments to QuickBooks Online. • Eliminate hours of redundant data entry. • Your bookkeeper will love you! 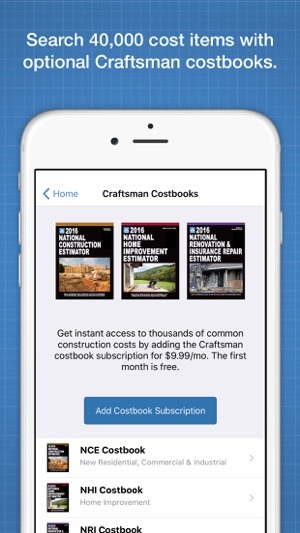 • Subscribe to the Craftsman costbooks (optional), and access 40,000 construction cost items. • Costs are localized to your area based on your zip code in the US or your postal code in Canada. 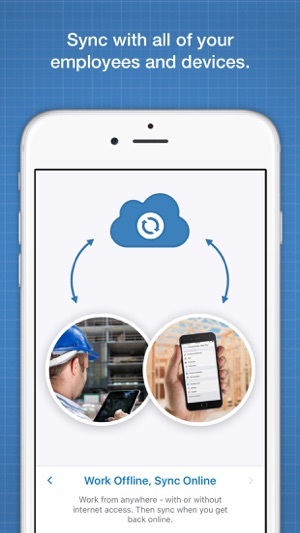 • ContractorTools is a native app that is fully functional without an internet connection. • Keep working in a basements or at remote job sites. • Your data automatically syncs to the cloud when you're online. We're dedicated to providing outstanding customer support, so if you have any questions, feel free contact us any time at support@contractortools.com or (888)802-1040. Download the app, create an account, and try it FREE for 30 days. Choose from 3 different plans, based on your needs. The prices above are in US dollars. If you're outside the US, you can see the prices for each plan on the "Choose a Plan" screen within the app. The first 30 days are free. Payment will be charged to your iTunes Account at the end of the free 30-day trial. The subscription automatically renews unless auto-renew is turned off at least 24 hours before the end of the current period. You can manage your subscriptions and turn off auto-renewal in the Account Settings screen within the App Store. This app is great for all manner of businesses, small, medium and large! Plumbing, electrical, general contracting, whatever you do, if you can’t find it in one cost book, you’ll find it in one of the others. Just with other software, you may need to tweak a few prices here and there, but otherwise it’s a time saver and helps you to not miss some things when you’re bidding a job. I’ve been with these guys for years even on an older version of the app, and you won’t find a better tech support team! These guys are great, fast responses, very attentive to your issue, and they just flat out care about whether you’re enjoying and getting use out of the software. I would recommend this app to anyone! I love it. Ive try diferent apps in the pass no one convince me. This one does everything I need. Business wise talking. But, on using the app is a little complicated from the iphone, for me at list. Today I added a bluetooth keyboard to my phone since im not that good with the Iphone keyboard. Also I’m using an apple tv device to mirror my phone to my tv cause i dont have a mac computer. I just find out that I cant put my contractor tools screen sideways. It will be wonderfull if you guys can add that to the app. Otherwise this is perfect. Thank you. Im giving you my five stars because I know you will add the turning sideways feature to the app soon.